Greetings Rainbow Warriors! I’m coming to your from Morocco today, where I’m doing daily yoga and learning to surf. feeling so blessed to be in a place where I can connect with nature daily, and still be connected enough to bring you this weekly show. Our guest today is Jeffrey Armstrong. 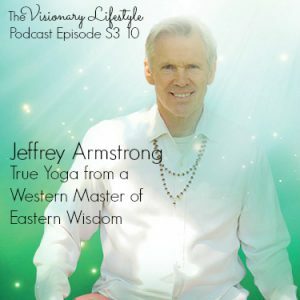 Jeffrey is an Award-winning poet and best-selling author of numerous books including: Spiritual Teachings of the Avatar, Ancient Wisdom for a New World. Jeffrey is a relationship expert, philosopher, practitioner and teacher of the Vedas for over 40 years. Prior to his teaching he had a successful career as an executive in Silicon Valley and spent five years in an ashram as a brahmacharya (monk). He is a sought after guest expert on TV and talk radio. For 15 years, he was a corporate executive in Silicon Valley, and a speaker for Fortune 500 companies and was was written about regularly in USA Today, the Wall Street Journal, LA times, San Jose Mercury News, Discover Magazine, CNN, Stern and many others. Previously trained as a monk in the traditional way for 5 years he also has degrees in Psychology, History & Comparative Religion and English Literature. For the past 40+ years and currently as the Media and Communications Director for both the Vedic Friends Association (VFA) and the Hindu Collective Initiative for North America (HCI-NA), he’s been a global advocate for the Hindu Sanatan Dharma culture and has spoken at some of the most prestigious universities, conferences and corporations around the world. 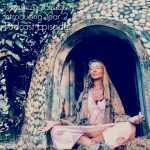 I caught up with Jeffrey at the Bali Spirit Festival where he was offering teachings for Yogic Thought Leaders. 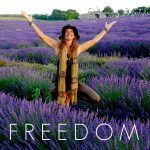 He grabbed my attention with that right away, and gratefully, I got to spend some valuable time with him picking his enormous brain to learn how we can all be yogic thought leaders. I love this conversation and I promise you it’s jam packed with wisdom that is highly useful. 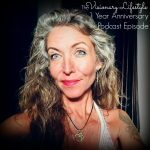 The thing that stands out to most for me of all that Jeffrey and I spoke about, is the notion of vritis , the fluctuations of the mind, and how yoga is the practice that dissolves them. 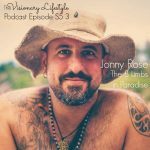 Life Changing Yoga Philosophy & Lifestyle Courses on his website, so make sure to check those out, as always, links are in the show notes.